Evaporative Cooling Repair Service Darling. Call @ 1300 941 774 to get your ac units repaired, installed and maintained in Darling. In Darling, the need of the moment is the evaporative cooling system. It is very much a part of the daily life for many Darling residents. Thus, it is hard to imagine a day without it. Therefore, it is necessary that you take care of your evaporative cooling system and service it at regular intervals. We at Plumbing Master make it easy for you to take care of your system and provide the best solution to any problem regarding the device. 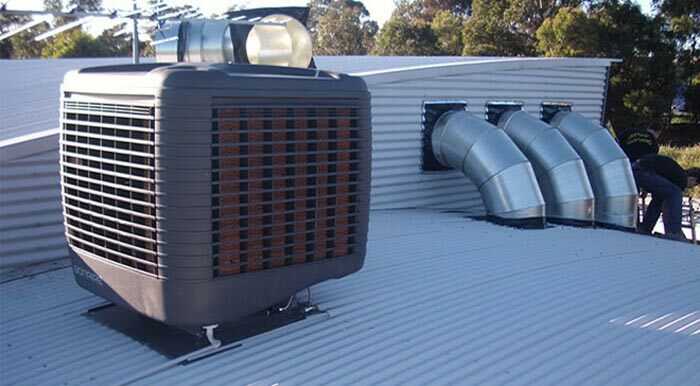 Our evaporative cooling repair services in Darling are prompt, efficient and consistent. How Does The Evaporative Cooling System Work? 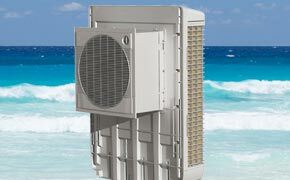 By the principle of evaporative cooling, evaporative coolers lower the temperature of the air. A pump circulates water onto the cooling pads. Evaporation lowers the temperature and cools the air when a fan draws out the air from the cooling pads. Evaporating water decreases the temperature by lowering the energy from air. For proper evaporative cooling, you must keep the cooling pads in a completely saturated condition. Further, design the fan, pump, and other motors perfectly to allow an optimum free flow of air into the interiors. Evaporative cooling systems are helpful in beating the Darling summer heat. This is the reason perhaps why almost all Darling houses have them. These evaporative cooling systems are popular because not only do they cool the air within your home but they also constantly bring in fresh air instead of simply reducing the temperature of the stale air inside. 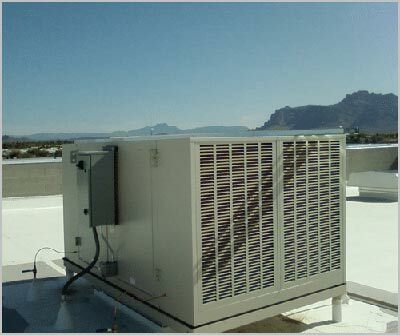 Regular maintenance and servicing is necessary for the efficient functioning of the complex evaporative cooling system. This further avoids any major crisis, especially when it has been running for long hours during summers. Plumbing Master has qualified professionals who know every aspect of the system and can ensure smooth performance of the evaporative cooling unit. The working mechanism of an evaporative cooling system is a complex one and many parts work in sync to perform one function. This might result in some wear and tear within the device, which if tended to immediately will later save extra expenses. Plumbing Master offers the best in repair services and your device will soon run as good as new, as we get rid of any tiny hitch with the system. We at Plumbing Master Services we’re working to make our services best from our clients perspective. Evaporative cooling system mechanism requires undivided attention to get the repairing done. We at Plumbing Master Service with the help of our knowledgeable and skilled technicians have developed a technique to do the evaporative cooling system repair work. With that we’re able to do the repairing in less time, we complete the work on same day while assuring the complete work done. To book the services call on our numbers, we will be happy to serve you. Proper air circulation is necessary for every household. This fosters a healthy living environment for all members of the family. However, stale air starts accumulating molds, bacteria, germs, and dust particles . This further starts settling in the evaporative cooling system and affect the functioning of the device. Regular maintenance checks of the system avoids all these problems thus providing continuous flow of air. As mentioned before, internal parts of the device can often get damaged due to continuing functioning for long hours. Maintenance and service checks will deal with these and repair them immediately. During summers, evaporative cooling systems run for a very long time without any breaks. This can very likely reduce the efficiency of the fan, pump, and motors. But if the device is maintained properly and all necessary service checks and repairs are carried out at the correct time, the best performance will be guaranteed even at the peak time. Repairing services lubricated the blower assembly properly. Due continuous usage, the fan belt might get loose and without the right amount of tension, the system will fail to function properly. This, if it happens, will be dealt with during regular servicing and maintenance checks. As the demand for installation of evaporative cooling systems rises, so does the demand for its maintenance checks, because otherwise, it will fail to function at its highest level. Plumbing Masteris expert in both installing and repairing or servicing your evaporative cooling system. We are the prime Evaporative Cooling Repair Services in Darling and our professionals are experienced to handle all devices from popular brands like Breezair,Brivis, Braemar, Bonaire, Coolair, and CoolBreeze. While servicing the device, we take care of all parts of the system, including the functioning of the fan, pump, cooling pads and other operations. We clean all the filters and evaluate the grease bearings, shaft and pulley systems. Further, we provide warranty for all our Evaporative Cooling Repair Service Darling programs and our professional technicians are certified to work with all evaporative cooling systems. We also prove a customized guide for installation of evaporative cooling systems for all residential and commercial purposes. To ensure that your device functions just as it used to when it was new, we have a range of services from which you can choose the best one for your evaporative cooling system. Plumbing Master ensures expertise at its premium levels when it comes to servicing or installing your evaporative cooling system. Our services are aimed at providing conditions for the smooth functioning of the units and we promise punctual, reliable and efficient Evaporative Cooling Repair Service Darling services, always!